South American football’s most powerful administrator has met Qatar’s leader just weeks after countries including Argentina and Brazil called for the 2022 World Cup to be extended to 48 teams. State media in Qatar on Friday said Alejandro Dominguez, president of CONMEBOL and also a FIFA vice-president, and Emir Tamim bin Hamad Al-Thani met in Doha. “During the meeting they reviewed cooperation between Qatar and the South American Football Confederation and means of developing them,” reported the Qatar News Agency. Earlier this month, CONMEBOL formally asked FIFA to introduce the plan to expand team numbers in time for Qatar. Football’s governing body had already agreed to enlarge the tournament from 32 teams -- which is how many are currently scheduled to play in 2022 -- starting from the next World Cup after Qatar, in 2026. Dominguez made the request in a letter handed to Gianni Infantino. The FIFA president has called the proposal a “very interesting idea”. In its only formal response so far, Qatar told FIFA it was “important that discussions are held on the operations and logistics of an increase in size of the tournament in Qatar”. 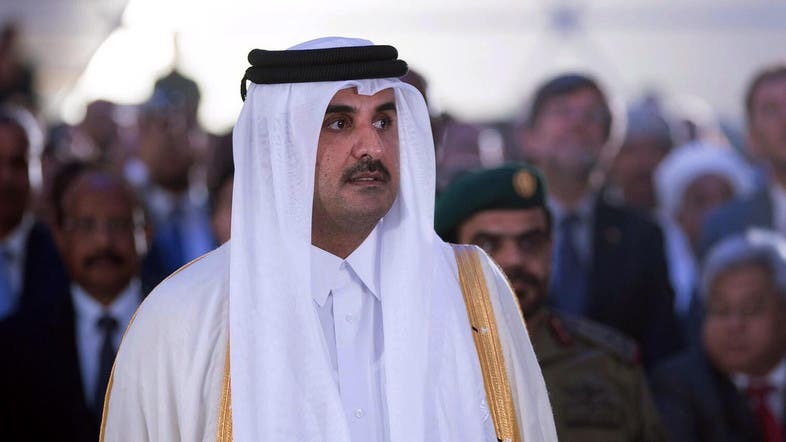 Any increase in size is likely to prove problematic for Qatar. The 2022 World Cup has already been shortened to 28 days to accommodate the switch to playing the tournament in November and December. By contrast, the World Cup in Russia this year will be played over 32 days. Qatar, which says it is spending $500 million a week on the first World Cup to be staged in the Middle East, is currently planning to use eight venues in 2022, four fewer than Russia. One solution to an expanded tournament may be for Qatar to sanction holding some matches elsewhere in the Gulf. However, that is complicated by the fact Qatar is at the center of a fractious ongoing regional political dispute. Also this month Qatar’s football association agreed to accept an invitation for its national team to play at next year’s Copa America. Also, FIFA president Gianni Infantino has summoned the FIFA Bureau to Zurich at short notice to discuss issues arising from the Bogota, Colombia, FIFA Council meeting where he tabled the $25 billion offer for the Club World Cup and Nations League competitions, according to media reports. In addition, on the agenda will likely be the expansion of the Qatar 2022 World Cup to 48 teams, a report said. The FIFA Bureau is made up of the six confederation presidents from the AFC, CAF, CONMEBOL, CONCACAF, the OFC and UEFA. Invitations have also been extended to the confederation general secretaries. The meeting will take place early next week. No official agenda has been published for the meeting and it is not clear who will actually be able to attend at such short notice. The issues on the table have the potential to totally reshape world football’s calendar. The proposal made by CONMEBOL President Alejandro Dominguez to expand Qatar 2022 has enormous ramifications both for Qatar but also for the geo-politics of the region if Qatar was made to share an expanded World Cup. That decision could impact on 2026 bidding. If Qatar said no to sharing, and no to 48 teams, the only obvious nation who could step in would be the US (and its United 2026 bid-mates Canada and Mexico). The report said that the three countries could just shunt forward their 2026 proposal as the 2022 ready-made solution. Also it will spare FIFA controversial ongoing controversial based on accusation against it made by Morocco. Also, in its December 4 edition, Mexican sports daily Record argues that FIFA is very concerned about the geopolitical situation in Qatar and is already thinking about a plan B for the organization of the 2022 World Cup. Qatar could be deprived of its World Cup if the conflict continues, according to Record, which explains that the cost and duration of work related to the World Cup are already directly impacted by this geopolitical isolation. The report also highlights that the reception of teams and supporters could be disrupted in a way that would cause many flights impossible to land. According to the report, citing sources at FIFA, all this could lead to a redistribution of cards and a reallocation of the World 2022. “But who can benefit from this scenario? It is going to be the trio of United States-Canada-Mexico” it added.